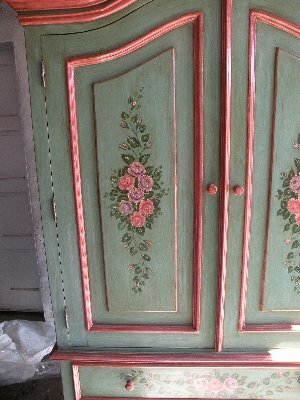 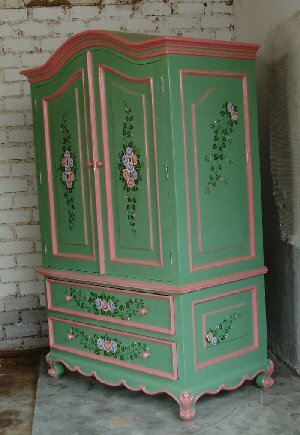 French Green Armoire with pink trim, lavender and pink roses. 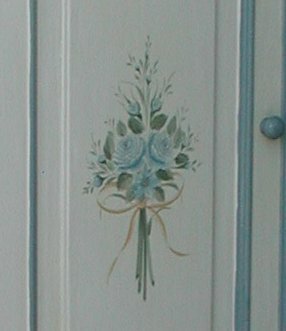 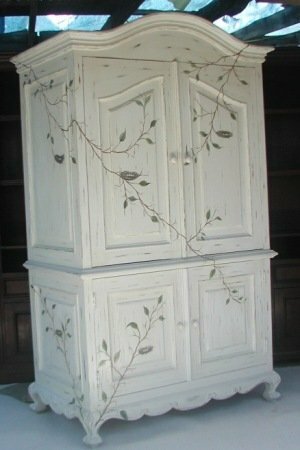 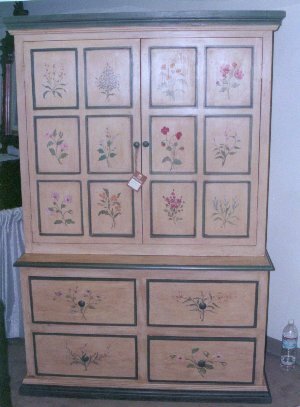 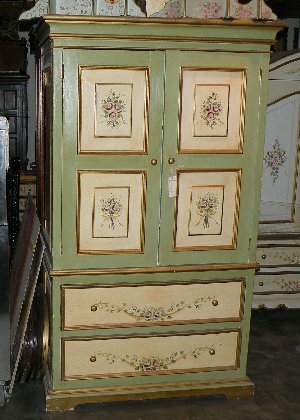 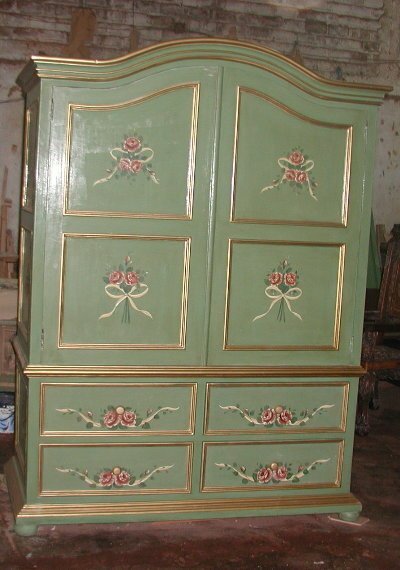 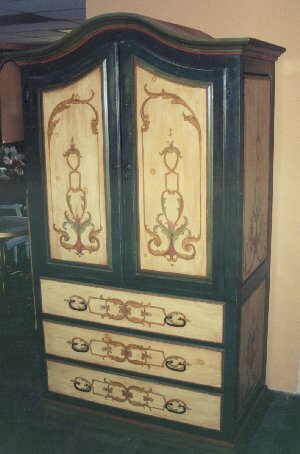 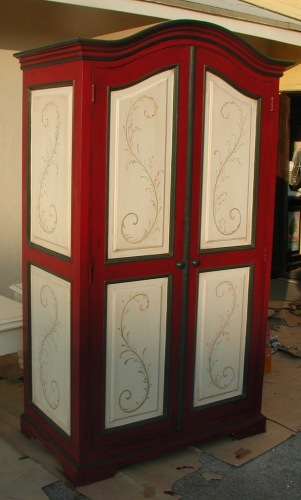 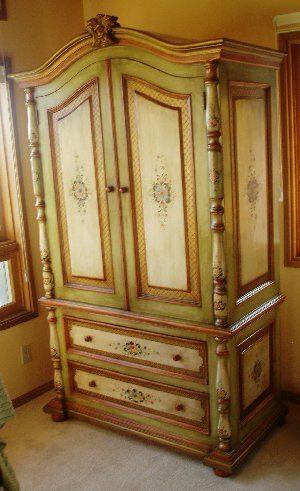 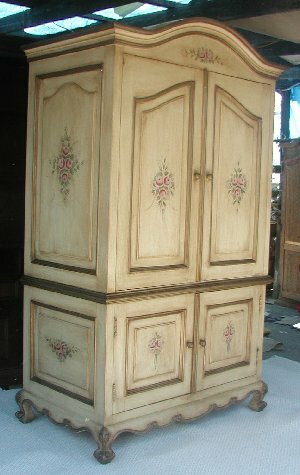 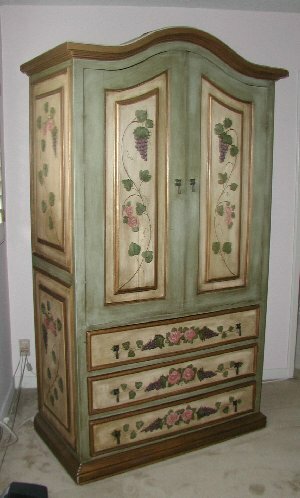 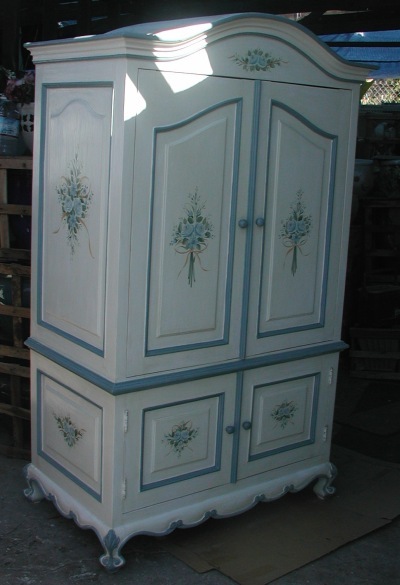 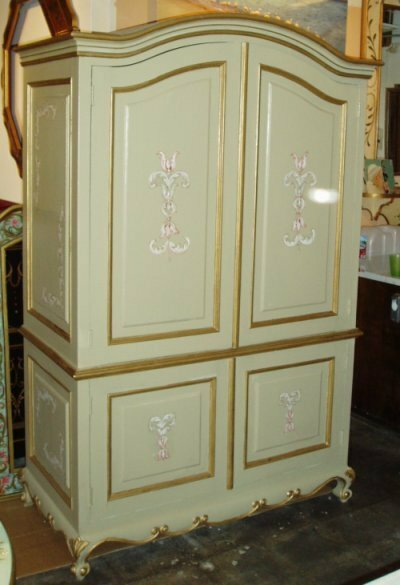 Sevilla Armoire with Sage Green also know as Spanish Green base and Eastern European Flowers. 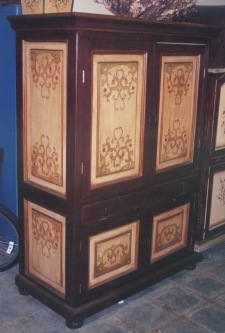 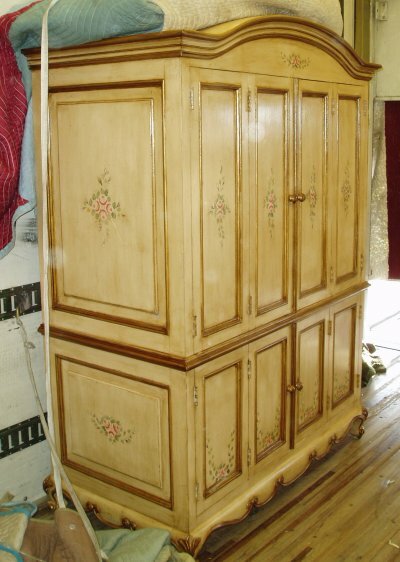 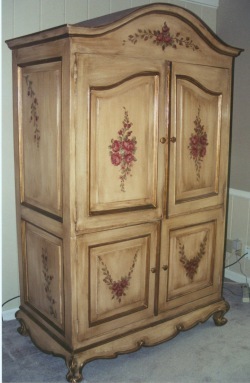 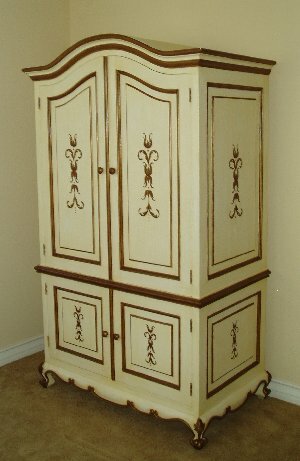 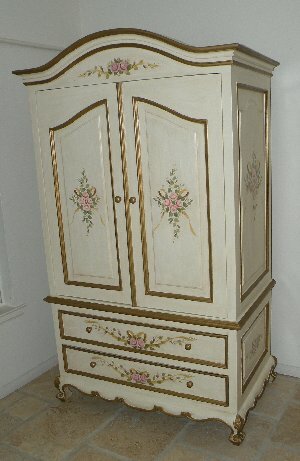 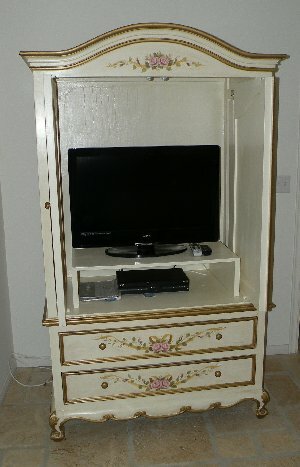 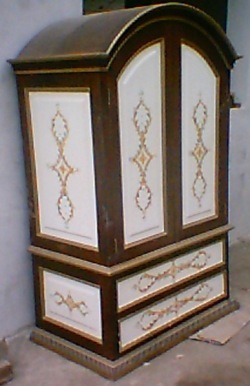 This Sevilla style is available in beds, dressers and night stands. 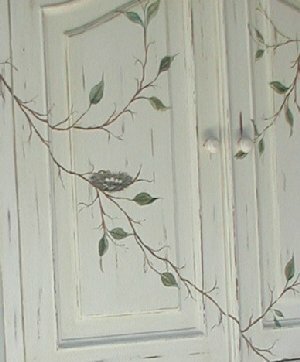 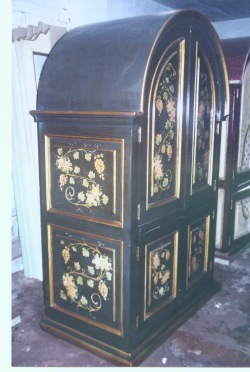 Armoire in black with roses, grapes and vines. 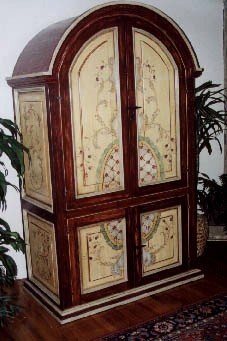 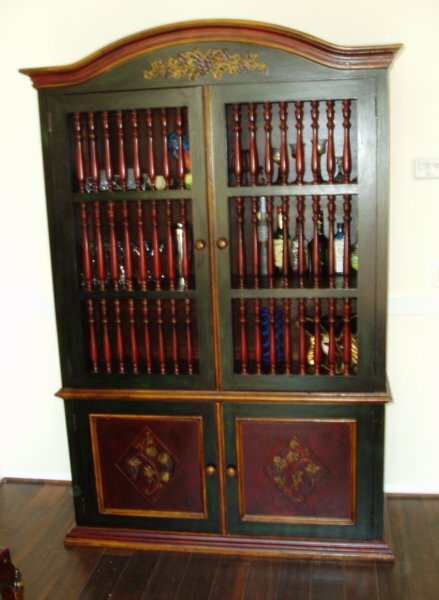 Old World Tuscan Bar or china cabinet or bar with hand carved leather panels and polychrome painting. 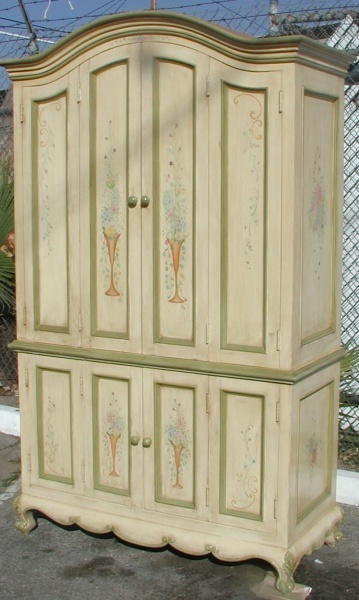 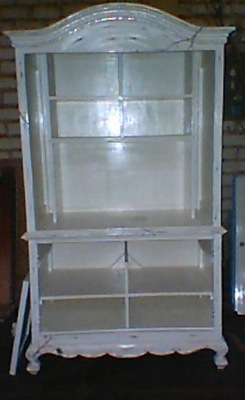 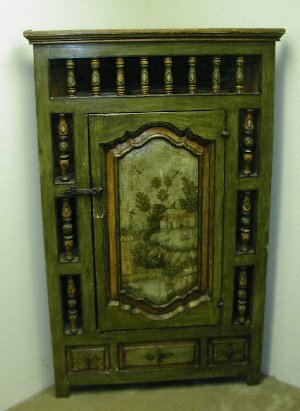 Corner cabinet with hunting scenery in Spanish Green.